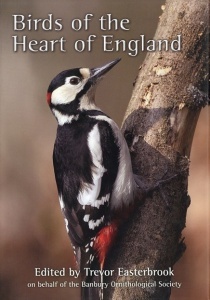 Drawing upon a remarkable sixty years of surveys, this fascinating and richly illustrated book provides an in-depth picture of birdlife in the very heart of the United Kingdom, the twelve 10km squares surrounding Banbury and including parts of Northamptonshire, Oxfordshire and Warwickshire. The product of annual surveys since 1952, Birds of the Heart of England creates a snapshot of remarkable changes in the distribution of many birds through the use of clear colour maps, species accounts and a variety of illustrations. It will be required reading in the region but its sheer depth of data will make it an important volume for ornithological groups across the UK.